We are a leading Manufacturer of handmade jute bags, fashion jute bags, eco friendly jute bags, handcrafted jute bags and ethnic jute bags from Kolkata, India. We are one the well-known manufacturers, exporters and suppliers of Handmade Jute Bags. The offered handmade jute bags are highly liked and appreciated by the clients, due to the natural fiber and light weight design. Our supplied handmade jute bags are made from superior grade jute fiber, sourced from very trusted vendors in the market. 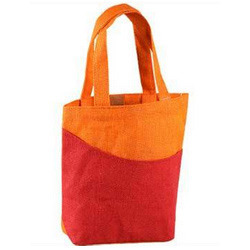 We are one of the widely acclaimed manufacturers, exporters and suppliers of Fashion Jute Bags. The offered fashion jute bags are specially designed by the most experienced bag designers of the trade. 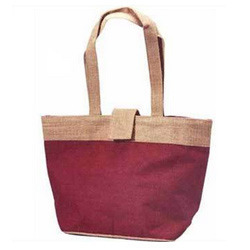 Our supplied fashion jute bags are made from high grade jute fiber. The offered fashion jute bags are easily available at very affordable market price. 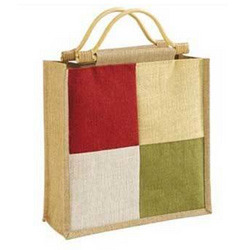 We are one of the leading manufacturers, exporters and suppliers of Eco Friendly Jute Bags. The offered eco-friendly jute bags are highly acclaimed and appreciated, due to the natural jute fiber. 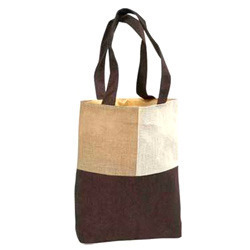 Our supplied eco-friendly jute bags are environment friendly and affordable. The offered eco-friendly jute bags are available at very affordable rates. We feel proud to introduce ourselves as the well-known manufacturers, exporters and suppliers of Handcrafted Jute Bags. The offered handcrafted jute bags are highly liked and acclaimed, due to the elegant design and beautiful handcraft. Our offered handcrafted jute bags are used by people of all age groups and ethnicities. On account of our creative skill and knowledge, we are counted amongst the leading manufacturers and exporters of Ethnic Jute Bags. 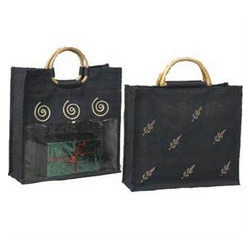 We use finest quality jute to fabricate these bags under the firm observation of quality inspectors. With the stunning look and beautiful round handle at top these Jute Ethnic Bags are highly appreciated by our clients. We can customize these bags in different colors and design as per their requirements and offer at the market leading price.